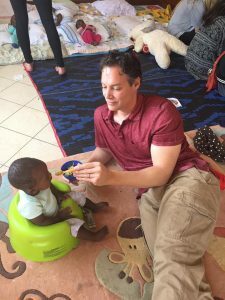 You may have seen Fab’rik promoting the Neema House and sponsoring the Neema House Babies. 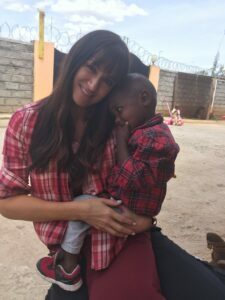 Because of their heart for orphans, Fab’rik have graciously and generously become a partner to Project 82 Kenya. Fab’rik is featuring some of our babies on hang tags on certain products in their fall ASHER line. The ASHER line is uniquely defined as bright, colorful, hand-painted, unique products. These same words define each individual child we serve. 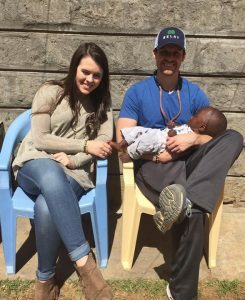 The Fab’rik team recently joined us on a mission trip to both communities in Kenya. The team has some special surprises planned for our communities. In Molo, the Fab’rik team, through their Free Fab’rik program, brought beautiful clothes for the teens and young women of the community. Each girl was able to try on the clothing, working with a shopping buddy from Fab’rik to find the “perfect outfit” for her. 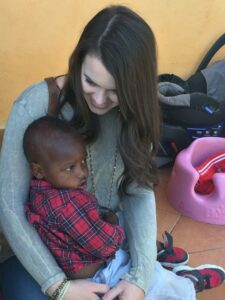 During this time, the woman of Fab’rik team spoke truth into each young woman, telling her God’s truth and promises for her. Many of these girls had never had clothes with the tags still on, so this was a special surprise for them. 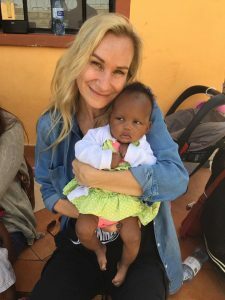 Many of our young woman are at a time in their life when they need to hear that God loves her, she is a treasured daughter of the King, and that God has a plan and a purpose for her life. What an important thing to hear when the messages of the world are so different. After picking their outfits, the girls put on a fun fashion show of their new outfits. The Fab’rik team showed them how to walk down a long runway, twirl and give a fun pose. Several of us thought the girls might be shy, but, boy, were we wrong! They had a wonderful time! And we enjoyed their sweet smiling faces and laughter. The guardians were each given a bracelet and a team member prayed over each sweet woman. In Nanyuki, the caregivers were given a day off and some pampering while the team took care of the babies. 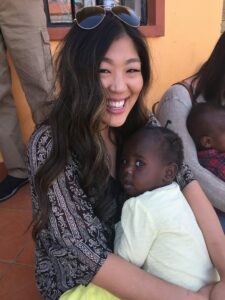 So many sweet pictures of cuddly babies! The team also visited the land in Nanyuki to pray over it and seek God’s will for our new land. It’s only through God’s grace that Project 82 exists. Everything we do, we seek His Will and give Him all glory, honor, and praise. 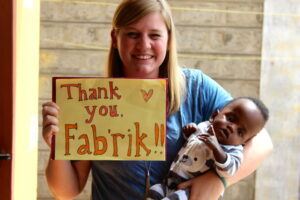 Thank you Team Fab’rik for your heart for our kids! Thank you for all you are doing in their lives and to the glory of God!